The Venice Simplon-Orient-Express heads to Berlin in 2016 A journey through time. 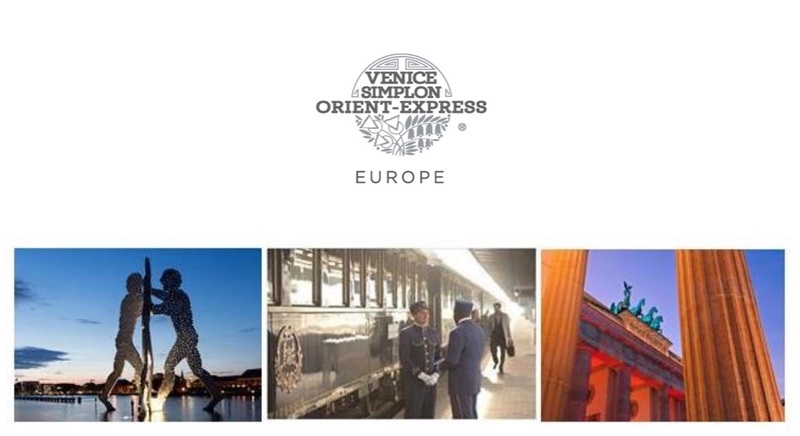 the legendary Venice Simplon-Orient-Express embarks on a new journey to Berlin taking guests on a fascinating journey through time. In the tradition of the first pioneering days of rail travel, this new route links three historic European capital cities, London, Paris and Berlin. The inaugural departure leaves from London to Berlin via Paris on Thursday 2 June 2016. Travelling in the original art-deco carriages of the Venice Simplon-Orient-Express, evokes the glamour of the roaring 1920s when Berlin was a post-war metropolis with a flourishing arts and cabaret scene. Today, Berlin is a monument to living history as well as the emblem of reunified Germany signified by striking architecture such as the Brandenburg Gate and the Berlin Wall Memorial; a thriving contemporary arts scene, lively bars and gourmet restaurants. Departing London on Thursday 2 June, the 2 day, 1 night journey from London to Berlin allows guests the time to slow down, relax and enjoy the journey as the train makes its way through Northern France; traversing the German countryside and arriving in time to spend the weekend in one of Europe’s most fascinating cities. Venice Simplon-Orient-Express brings to life the romance and nostalgia of the golden age of travel with its luxurious vintage carriages. The decorative wooden marquetry and ornate furnishings provide the stylish setting for memorable experiences from the fine dining in the elegant dining cars, to classic cocktails, champagne and entertainment in the bar car. The sleeper cabins are attended to by personal stewards who ensure a comfortable journey.